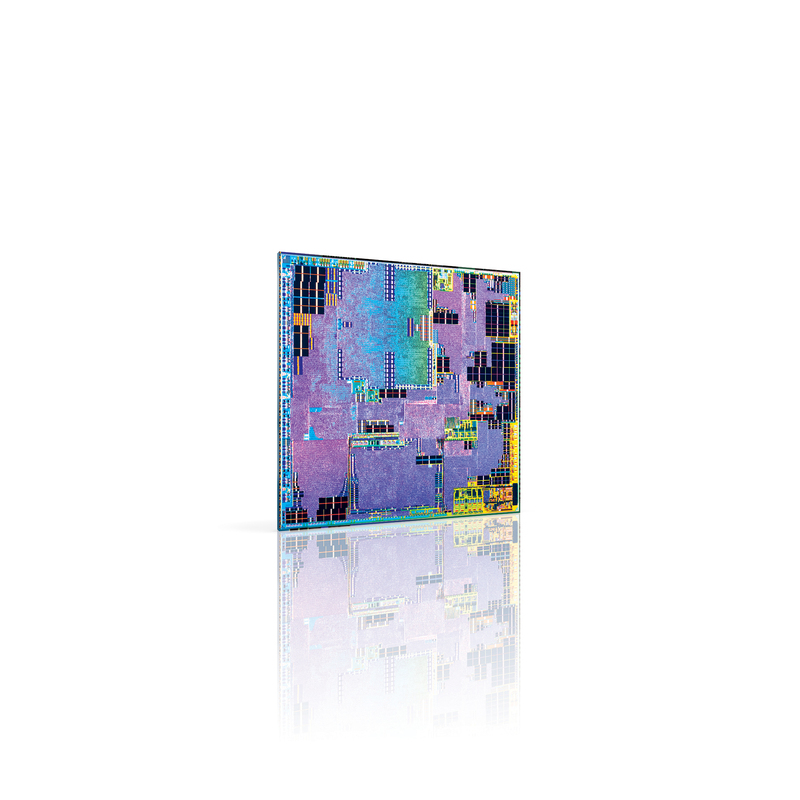 Introduces the Intel® Atom™ x3 processor series, formerly code-named “SoFIA,” for low-cost smartphones, phablets and tablets with 20 customers committed to deliver designs. Introduces the Intel® Atom™ x5 and x7 processor series, formerly code-named “Cherry Trail,” for mainstream and premium tablets and small-screen 2 in 1s. Introduces the five-mode Intel® XMM™ 7360 LTE Advanced solution, with support for up to Category 10 and download speeds up to 450 Mbps. Brightstar Corp*, Deutsche Telekom*, LG Electronics*, Prestigio* and Samsung* select Intel Security technologies to help protect personal devices. Announces efforts with Alcatel-Lucent*, Ericsson* and Huawei* to address demand for new services, improve network efficiencies and accelerate the move toward a software-defined infrastructure using Intel® architecture. 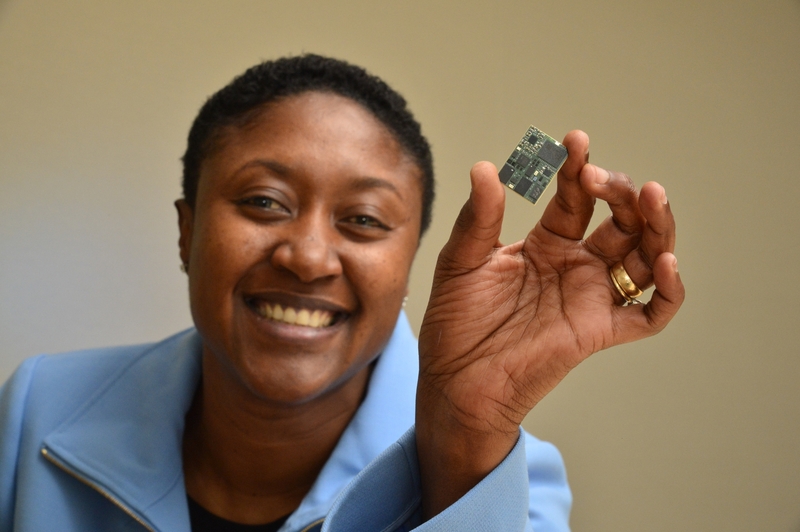 Aicha Evans, Intel’s vice president and general manager of the Intel Communication and Devices Group, holds up the five-mode Intel® XMM 7360 LTE Advanced solution, which supports up to Category 10 and downlink speeds of up to 450 Mbps. The Intel® Atom™ x3 processor, formerly code-named “SoFIA”, is Intel’s first integrated SoC featuring 3G or 4G (LTE) modems and Intel architecture application processors for entry and value tablets, phablets and smartphones. MOBILE WORLD CONGRESS, Barcelona, Spain, March 2, 2015 – Intel Corporation CEO Brian Krzanich today announced a series of mobile platforms including the company’s new low-cost system-on-chip (SoC) for phones, phablets and tablets, a global LTE solution, innovative personal computing experiences, and a range of customers for mobile device and network infrastructure offerings. With technologies that span silicon, software and security, Krzanich said Intel was one of the few companies able to deliver solutions end-to-end, for devices, the network and the cloud. Krzanich announced new customers including Brightstar Corp, Deutsche Telekom and Prestigio for the company’s True Key technology, a cross-platform application to address the pain point of passwords by using personal factors like facial identification and fingerprints to make logging in easier and safer. Deutsche Telekom will preinstall the True Key product for its customers in Europe. Prestigio will be one of the first mobile device manufacturers to launch the True Key application in Russia and across Europe, making the application available across all of its Android tablets and smartphones by the end of this year. 1 “Conflict free” and “conflict-free” means “DRC conflict free,” which is defined by the U.S. Securities and Exchange Commission rules to mean products that do not contain conflict minerals (tin, tantalum, tungsten and/or gold) that directly or indirectly finance or benefit armed groups in the Democratic Republic of the Congo (DRC) or adjoining countries. Intel also uses the term “conflict-free” in a broader sense to refer to suppliers, supply chains, smelters and refiners whose sources of conflict minerals do not finance conflict in the DRC or adjoining countries. Intel processors manufactured before Jan. 1, 2013 are not confirmed conflict free. The conflict free designation refers only to product manufactured after that date. For Intel Boxed Processors, the conflict free designation refers to the processor only, not to any additional included accessories, such as heatsinks/coolers.